New here! Can't wait to attend a meetup! ah yes, i've been looking for a while to find a site where there are some maine furs!if a meetup comes up soon in area, i will surely go with a friend of mine! though it would be really great if someone suggested a couple of fursuit makers that are fairly cheap. 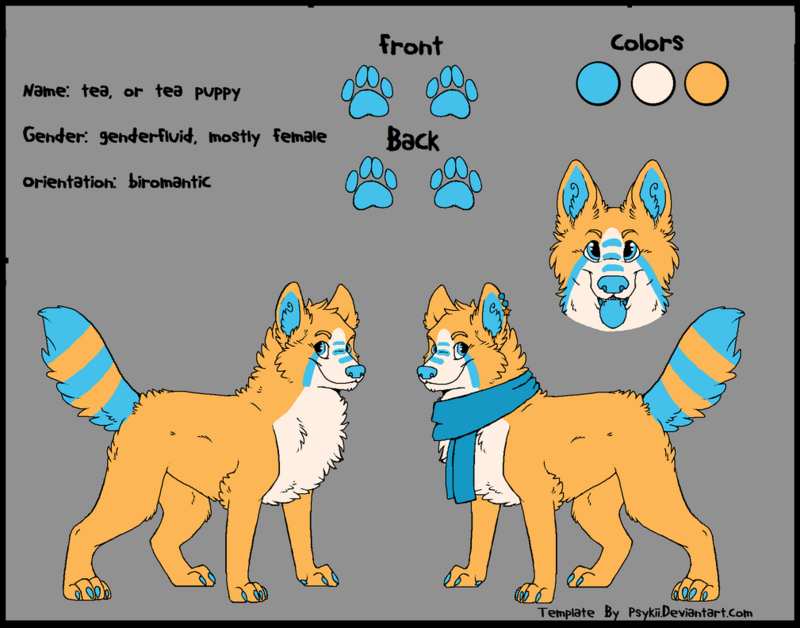 also, here's a reference for my fursona, tea puppy. i didn't have the art for the reference, the credit to the lineart is located bottom right. Re: New here! Can't wait to attend a meetup! Cheap? Fursuit? Such rare words! Welcome!